This post was updated with more information in February 2018. After obtaining my license as an Architect in New York, I brainstormed several long term goals and decided to start a personal blog, develop design projects, and learn everything that I could about starting an architecture firm. So I purchased several inspiring books written by life coaches, architects, and business professionals. As I read each book, my mind began wandering off in so many directions and many of my fears of the unknown were beginning to fade. Then, an opportunity came up with the local American Institute of Architects in Buffalo’s emerging professionals committee (AIA Buffalo/WNY EP) to put together a proposal for a grant from the college of fellows. 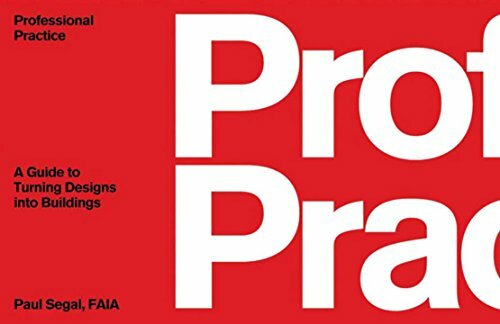 We decided to submit our proposal for an event called “Planning a Practice”, which would bring together an Architect, attorney, finance, and branding/strategic marketer to teach young architects the fundamental skills for starting their own practice. Once we won the college of Fellows grant, my co-organizer and I sat together at a local café and brainstormed venues, food, people, and our budget for the event. I decided to lead the search for a venue and speakers, which allowed me to meet so many fantastic people and develop an everlasting relationship with all of them. Whenever possible, make sure you leave your current practice on good terms with all of the partners. Throughout your time being employed at a firm, you've been developing a network of colleagues and friends. In many instances, project managers, architects, and partners at your current firm might be able to help you get started by giving you a small project that they were going to turn down. Most importantly, they could even be your mentor and help you through any issues with your business. Stay in contact with everyone that you've had the pleasure of working with at your current and all previous architecture firms. Especially if you're planning to start your firm in the same locality as these previous firms where you were employed. You'll definitely encounter them at events, a walk through for a potential project, interviews for a project, and simply walking around the neighborhood. Build strong relationships with your peers and maintain it after you've started your own practice. Aside from being the owner and president of the company, you’ll also have to take on all of the other roles of the business until you’re in a position to hire an accountant, marketing professional, human resources, and other architects. Unless you've saved or found a line of credit to start your firm, your firm will most likely start off with either a few people or solo. For example, as a firm with only two people, Mike assumes the role of the lead designer, draftsman, receptionist, custodian of the building he owns and runs his practice from, and so on. When you start getting more clients for your business, you’ll find yourself working at all times of the day. Your work day no longer starts at 8AM and ends at 5PM, but rather, you’ll find yourself in meetings throughout the day and you’ll have time to draft in the evening. You’ll begin losing personal time to spend with your family and friends, but if you learn to manage your time well, this won’t be an issue. Remember, you can take on as much work as you want, so start tracking how much time it takes you to accomplish certain tasks now so that you don’t find yourself missing deadlines or staying up all night. Pull out a large sheet of paper and begin sketching out a strategic plan for how your business will be managed and grow. In this plan, you should consider all aspects of your business from how people will be managed, projects will be designed, and a map of your finances. You should also include marketing strategies, potential clients, and how you can expand your firm's outreach. This strategic plan will constantly change, so don’t be afraid to add, delete, or move things around as your business grows. Everyone has a network of friends and people that they’re constantly meeting at conferences, cafes, or local events. As a business owner, you need to constantly build this network of people who are your friends, mentors, clients, and anyone else who can help you personally and professionally. Never be afraid to reach out to people you don't know like editors of magazine articles that you really enjoy and letting them know how much you appreciate their work. You might encounter someone who loved the fact that you thought of them through their work who wants to learn more about you and your firm. Remember, one of the people in your network might know of someone who needs an architect. Make sure you stay in touch through thoughtful notes. Once you start your business, you’ll most likely have project types that you’ll focus on – residential, offices, cultural centers, universities, and on and on. Start identifying your focus and keep track of your clients’ demographics. Are they young? Old? Married? University architect? Curator at a museum? Once you identify the possible demographics of each client, you’ll be able to figure out where you can meet these people and stay in their radar for future projects. Social media requires constant posting and updating so that your audience won’t lose you in their growing newsfeed of information. As a new firm, Mike doesn’t use social media as much as larger and established firms because it requires lots of time, which he uses to develop drawings and meet with his clients. However, if you’re already using social media regularly, you already have a process for posting and keeping everyone updated with your life and/or work. Just remember to keep your personal life and business posts on different accounts – especially if your personal life is completely unrelated to your business. As a new business owner, you should have a few mentors who have been through this process before on your speed dial. You’ll want to meet with them regularly over lunch, dinner, or just a simple phone call to resolve any issues you might be having with your business. Mentors who have been through this process before can help you save time by giving you advice to avoid any mistakes. Remember, we all need help sometimes. Once you start your business, you’ll need to keep track of all of your finances. You’ll have to maintain a log of all your income and expenses so that you can file your taxes either quarterly or annually. This is very important because sole practitioners will need to show at least a 6 month log of income and expenses when applying for a line of credit from a bank. This line of credit will help you when you’re ready to scale your business or if projects and income slow down. Although everyone hopes to start their business and obtain projects of their dreams, your first few projects might be smaller renovation work for local clients or a small new build project. Eventually, you’ll develop a portfolio of work that proves you’re capable of taking on the responsibility of a larger and more expensive project. Again, if you’ve been developing a strong network of friends and clients, you might be able to obtain your dream project sooner than later. As a new business owner, you can decide whether you want to have your office in your home, lease a space from a local developer, or purchase a building of your own. Mike purchased a multi-story building and is in the process of finishing the interior renovation that he’s been working on with his friends. I personally would either lease a space or purchase a small building when I’m ready to start my own practice because I find myself being more productive at a location away from home. As a business owner, you’ll encounter many people from various walks of life who are interested in working with you as a consultant on a project, an adviser for your company, or as a client. When you start discussing the exchange of services, you'll likely need to put together or review a contract from the other party. This should be fair for both parties and it should hold both of you responsible for doing your part of the agreement. Your consultants should provide their services according to the contract, while not holding you responsible for any of their errors. Similarly, you should be doing the same for the owner of a project. The owner should be held accountable for providing any necessary information and support to keep the project moving forward. Is your client a public or private entity? Do you have a history with this client? Will this be a traditional design-bid-build project? Or will it be a design-build? Your contract will change based on every client. If you have a history of working with this client, think about whether or not your client did their part throughout the project. You should also consider if the project will have unforeseen conditions that will need to be resolved by the owner. Include any fair terms in the contract that the owner agrees to provide throughout the project such as land surveys, soil boring, existing drawings for renovation projects, attending bi-weekly project meetings, and so on. Once you start putting together a contract for a project, make sure your services and payments are clear between your client and you. Determine who will be responsible for particular tasks throughout the project. Remember to assess the different risks of the project and determine who has control over them. Are there unknown site conditions in the project? Will this be on the owner to investigate and revise the scope of the project? When this contract is finalized, will you share it with your partners, project managers, architects, or architects in training? In many cases, it's very helpful for everyone on the project's team at your firm to know the agreed upon services that your firm will be providing to keep everyone on the same page. When putting together your contract, make sure you avoid using language like “free of defect” or “free of error or omission” because everyone will eventually overlook a detail in a set of construction documents or make a mistake on a large door schedule. Remember that Architects are humans and that we’re allowed to make minor errors in our drawings. You should also avoid setting subjective terms such as “the highest” or “best” standards in your contract. Provide only what's required in the standard of care for a design professional. Indemnity is important for transferring risk or assuming that there will be risks in a project. You want to be sure that your contract has indemnification language in there and that you have insurance coverage. This will protect you from sub-consultants who make a mistake in their documents that lead to issues with the building. For example, if a consultant indemnifies your firm from any damages due to errors or omissions from their contract documents during construction, this means that they take the responsibility of the error. With that said, be sure to review any contracts for terms that limit the liability of another party to a set amount. You don't want to be the one to pay for another party's errors or omissions. Mediation is when a 3rd party is brought in to facilitate a negotiation between two parties. Through this mediator, the negotiation hopefully concludes with a resolution that's satisfactory for both parties. However, if this is not the case, the claim will most likely be brought to trial. On the other hand, arbitration brings in an arbitrator who is typically knowledgeable about the issues that arose. Typically, the results are 50/50 and the process is streamlined for faster and usually less costly litigation. However, if your contract states that unresolved claims will go to litigation, the other party and your firm can decide to go through arbitration instead. 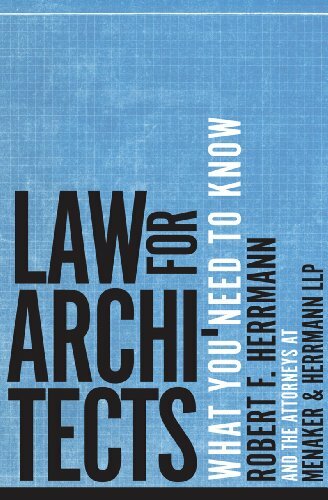 For large claims, many architects would recommend going through litigation because you'll be able to go through evidence, make your case, and if you disagree with the outcome of the trial, you can appeal and go to a higher court. With arbitration, the process might be faster, but decisions are final and cannot be appealed. Although people who are knowledgeable about design and construction should be on the panel, it doesn't always mean that they will be objective and understand all of the issues at hand. Keep in mind that some insurers are opposed to arbitration, so make sure you mention this when you’re searching for an insurance company. To protect your architecture firm, you should include limitation of liability clauses in your contract. This will protect you from your client if they’re seeking payment for any issues by setting a limit on the amount that they can pursue. However, remember that if you're including a clause like this in your contract that it's fair for all parties. 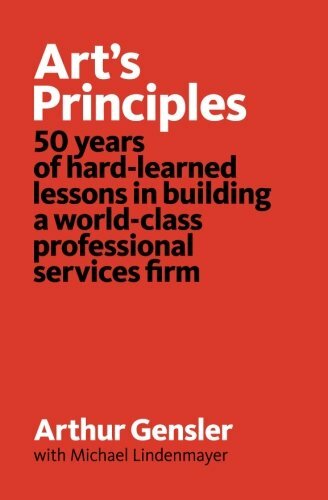 You don't want to include a limitation of liability in a contract with a client that trusts your firm's work because it'll make them doubt your firm's capabilities. If you believe a client or project is risky, then setting a limitation of liability will ensure that your firm is protected from claims resulting in an amount that will put your firm out of business. Every architect should expect to be paid in a timely manner by their client and this should be reflected in your contract. For your payment terms, you should use fair language and state how often the client should be making payments to your firm. Will it be on a monthly basis according to how much work you’ve completed? Remember to include a timeframe for when a payment will be late and how much interest will begin to accrue. A suspension of service term will protect you from a client who is substantially late with their payment. In your contract, you should have fair language that states you’ll suspend your services provided if the owner is “x” business days late with payment. In that term, you should also state that you’ll give the owner “y” amount of days of written notice before suspending your services. Then, add a clause for no liability for delay or damages due to this suspension. Everyone will make errors or omissions in their construction documents, especially on larger projects that require the coordination of multiple trades. Consider adding language in your contract that specifically states that you have no liability for change orders attributable to the error or omission of “x” % or under. You should also review this with the owner so that they’re aware that you might make some mistakes through in the project. When you’re searching for insurance for your company, remember to ask them about how they manage their claims. You want to be sure that they have members on their staffs who have worked with architects or on construction claims before so that they can represent you the best. See if they provide risk management services to ensure that a claim won’t arise from your project. Check if you can choose your own attorney in the event of a claim so that you can use someone that might be retained with your firm. Don’t just apply and take a quote from any insurance company. Give them a call and explain your basic and additional services to them so that they understand how much risk you’re really taking with your firm. If you’re not working on projects over $10 million, they shouldn’t be providing you with insurance coverage at that particular amount. When you’re ready to start your architecture firm, you may decide to start as a sole proprietor, which means you’ll personally take on all of the risk, income, and debt of your company. This is probably how most people will start their practice, which is helpful in validating whether or not it’ll be possible to maintain, profit, and grow your firm. Once you acquire more clients and your income/risks grow, you can transition your business into a professional service corporation (PC). The corporation is essentially another entity that will get all income, expenses, and risks of the company. As the owner, you’re now able to separate your personal assets from your company’s assets. To learn more about these different entities and register your business, there's a fantastic service out there called Legal Zoom which is an online company that assists you in applying for all of the necessary business registrations. Rather than going to your local authorities and hoping that you've registered for all of the necessary titles, Legal Zoom can assist you in figuring out all of the applications that you'll need to fill out and submit them on your behalf. As I go through this process of registering my leather product shop with them this year, I'm excited to be an affiliate for this company because I truly believe in the services that they provide. Once your business has been established, remember to register with the tax authorities such as the internal revenue service (IRS) or your state and get your employer identification number. You should use this number in all future applications for your company instead of your social security number. It’ll keep you safe from fraudulent activities and identity theft. In the early stages of your business, you’ll be taking care of all accounting and bookkeeping tasks, which you might later hire an accountant or human resource employee to take over. Make sure you keep all of your income statements and expenses together so that you can view your firm’s cash flow and submit your taxes. There is a great online platform that many small businesses use for bookkeeping, tracking projects, invoicing, and everything else related to the finances of a business called Freshbooks. Many of my colleagues who own small businesses use Freshbooks and have only shared great stories of the platforms. From the freedom of designing beautiful templates for invoicing to tracking time on architecture projects and exporting logs for filing your taxes, this service has saved my friends a lot of time. As an affiliate for this company, I'm excited to share their services with you and I hope it'll save your architecture firm time while simplifying your life. If you’re a sole proprietor or in a partnership, you’ll most likely use a calendar year-end when you decide to file your taxes. If you’re taxed as a corporation, you’ll be allowed to select a fiscal year-end using a month-end other than December. Many companies choose a quarter-end as their time to file taxes. Sole proprietors will file their individual income tax return as well as a self-employment tax form. Once your business grows and becomes a corporation, you’ll file and prepay your estimates of your taxes every quarter. If you don’t make these payments, you’ll be charged an underpayment penalty, so definitely ask your accountant about this information as soon as your start your business. As you begin your business and start acquiring clients, remember to maintain good records of all of your income and expenses. Keep an eye on how much profit you’re making and whether or not you’re more profitable over time. Take these numbers and project into the future. Determine if you’ll have unexpected expenditures in the future or if you’re in a position to grow the firm before taking the leap. When you’re ready to start your firm, you’ll either need to have saved enough money to cover your personal expenses and purchase equipment for your business, or you’ll have to find a line of credit from someone. Many people immediately go to a bank in hopes of opening a line of credit. If you planned ahead and predicted your finances, you’ll most likely have little to no trouble getting a line of credit. However, if you’d rather avoid the bank for your initial line of credit to get started, you can always try asking your family or friends as an alternative. Make sure you talk to your attorney and come up with a fair contract so that you can protect your friend’s investment in your company. Separate business from your family and friends. Think of the well-known companies like Gensler, Perkins + Will, and HoK who all have logos that haven’t had a significant change in years. They’ve been around for such a long time and everyone who thinks of their company is able to visualize their logo and talk about some of their core values. Develop some strong values of your own and make sure it comes across in all of your marketing materials, website, and future speaking engagements. 2. Most of your new work will come from previous clients, relationships, and people who find you in media materials such as the internet, magazines, brochures, etc. Once you start developing your firm’s client base, you’ll find that many of your projects come from repeat clients or recommendations from your previous client. In many cases, your family and friends will ask you to work on a project for them, which will lead to more opportunities down the road. However, if you’re looking for new and large projects, you’ll need to market yourself to a broader audience. Make a very well designed direct mail brochure, social media campaign, or magazine advertisement that is aligned to your firm’s vision. Make sure it’s free of errors, easy to follow, and your contact information is legible. You can even write an article about one of your projects and send it to an editor to publish in a known magazine such as Metropolis. Remember that your firm’s vision and ethics are at the heart of the business. You should never cheat or tell a lie in order to get a client or a project. Your integrity matters and will help you get the clients and projects that align with your vision. Keep in mind that with today’s information technology, anything that you do that’s unethical will be known to many people in a short amount of time. So have integrity and be true to your vision. Develop a how to manual that provides information to all of your employees about your firm’s standard fonts, colors, and logos. This will be applied to your firm’s stationary supplies, envelopes, marketing materials, email signatures, and anything else that will be distributed to people. Keep your logos simple so that it’s easier to remember. Every architecture firm will focus on a few types of architecture such as residential, offices, cultural spaces, health care, universities, or any other typology. Once you’ve identified the type of architecture to focus on, research trends and predict where they might lead in the future. For example, if you’re interested in residential and health care facilities, perhaps you’ll go a step further and say that you’d like to focus on aging in place. Simple research will show that our population is not only exponentially increasing, we’re also living longer. You can find and catalogue typical issues that seniors face, put together a research report, and send it to potential developers and senior housing complexes. You’ll start gaining notice that you’re an expert in this area. Everyone wants the best to work with them. Every architecture firm needs a good business plan to keep everyone on the same page and working towards the same vision. Develop these plans as a group and remember that the business plan will grow and change along with the business. Your staff should be aware of this business plan so that they can also help you spread your vision to prospective clients. As your architecture firm continues to grow, you’ll need to maintain your current marketing strategies while implementing some new ones. Many firms will sponsor or speak at an event, which gets them in front of an audience who is interested in the topic. You can also advertise in magazines or local papers, share press releases on your website, send well designed direct mail brochures, or even start an email newsletter that sends to people who have expressed interest in your work. Keep your firm present in the minds of everyone in your network. You’ll never know who needs an Architect and when they’ll need one. Whenever you attend any conference or event, you should have the basic etiquette such as dressing well, being on time, putting your name tag on the side of your chest with your dominant hand (right side if you use your right hand to greet someone), and having your business cards. Research people who might be attending the conference like magazine editors. Seek them out and start a conversation about something they’ve recently written or done. Who knows, they might publish an article about one of your projects in the future. In addition to Marilynn's advice, I highly recommend having a website and/or blog for your business that's well designed, simple to maneuver, and showcases your ideas and work. Through your website, your potential clients should be able to identify several projects that relate to their own. Typically, they will mention those projects at your initial point of contact, whether through email or in person. Similarly, if you're thinking of starting a practice, but don't have a website, consider starting a blog and sharing your ideas with the world. Get yourself out in the online world and start building trust and followers who share your passion for architecture and design. If you'd like to start a website, be sure to check out my post 10 tips for starting a website or if you want to skip ahead and start your website now, check out my website tutorial page using Bluehost, which is the website host that I use for Journey of an Architect. With my goal of starting an architecture firm in the near future, this seminar has given me a good foundation of knowledge to safely and successfully start a business. There were so many questions that I had about transitioning from being an employee to a sole practitioner, accounting, legal issues, branding, and marketing that were all answered from this seminar. Most of all, I had a great time meeting all of the speakers and co-organizing the event. As we concluded the one day seminar, I received so much positive feedback from the attendees that ranged from students to young architects. 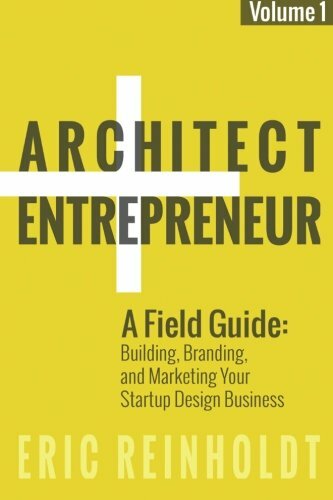 I hope you found this information useful and that you have success in starting, maintaining, or growing your architecture firm! Let me know what you thought in the comment section below! 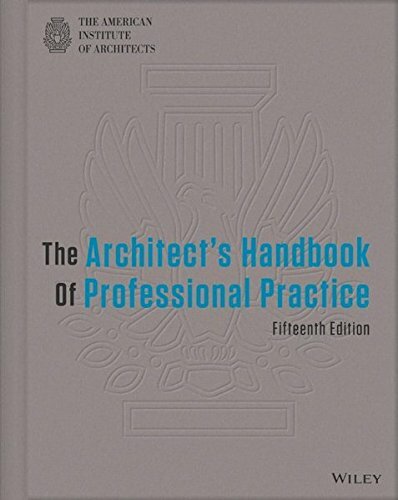 Starting an Architecture Firm is a book for architects who are ready to start a practice. 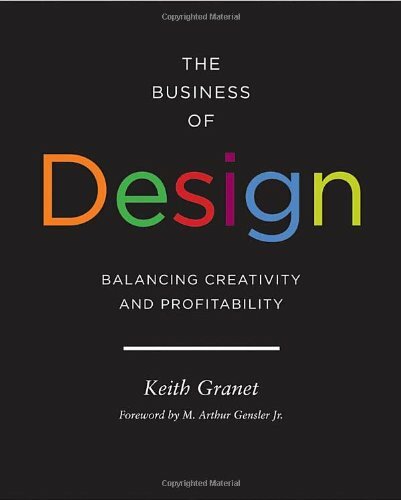 This book covers the essential information that an architect will need to start their business, manage the firm's finances, understand the basics of contracts, develop a brand, and develop relationships with clients. If you'd like a free sample, sign up for my Friday Four Newsletter. If you've already started an architecture firm or you're in the process of starting one, be sure to check out my resources page. Here are some books that I've read and would highly recommend for learning more about these topics. To be completely transparent with you, I am an affiliate and I’ll earn a very small commission if you choose to click on one of the books linked below and purchase it from Amazon. Although I would appreciate it if you purchased the books through my link, feel free to purchase the books anywhere else. I hope they can help you as they have helped me. Thank you in advance!